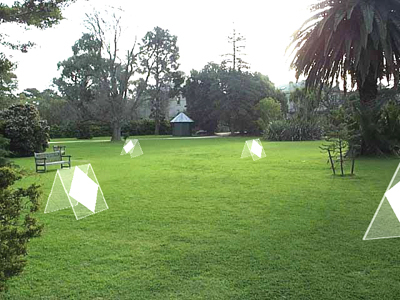 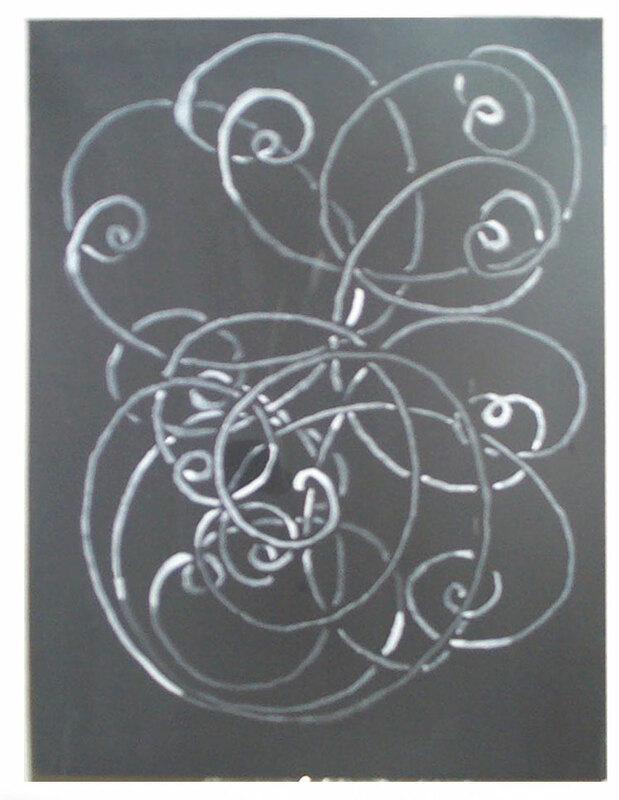 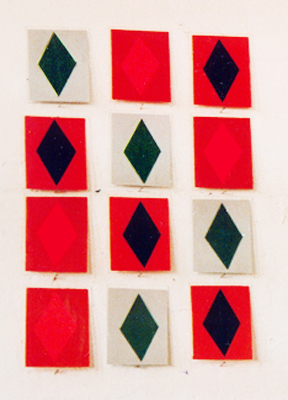 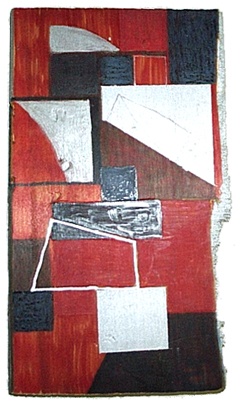 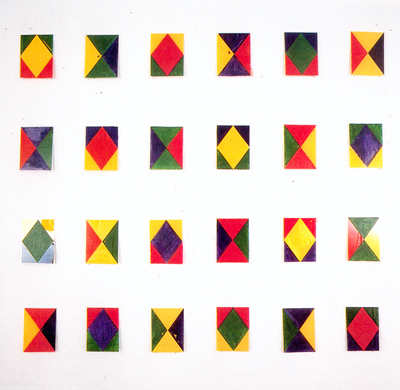 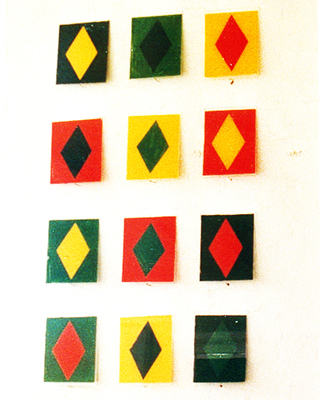 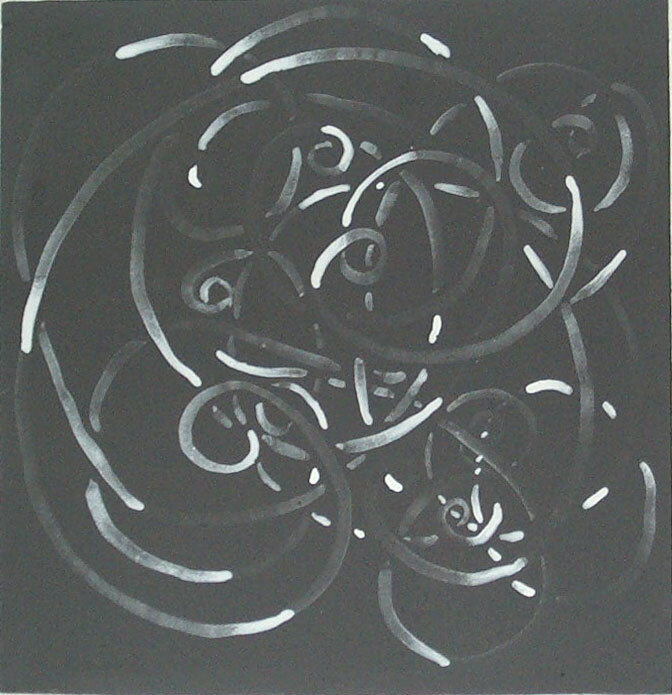 PDS 6 x 4 = 24, oil on (back and front) perspex, 1991. 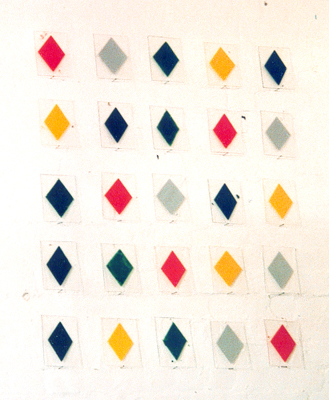 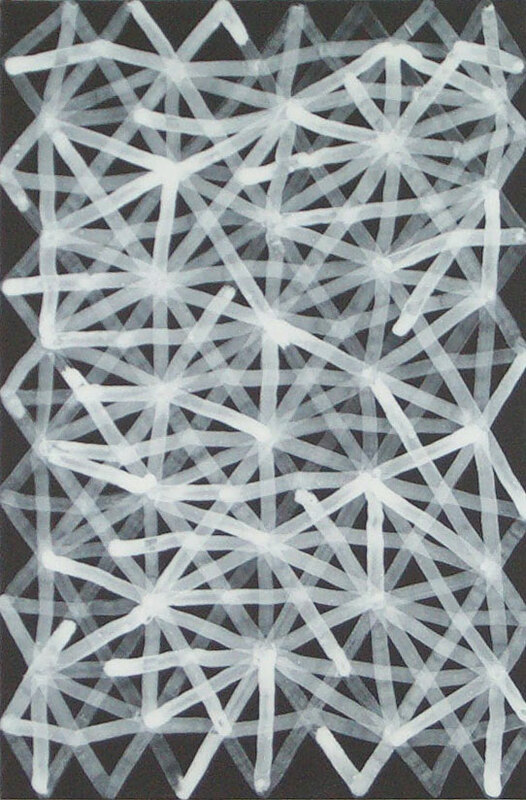 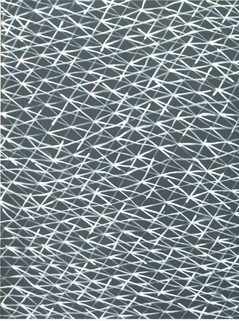 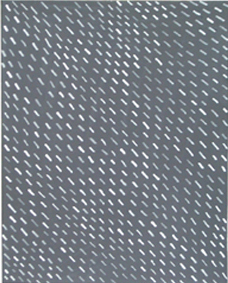 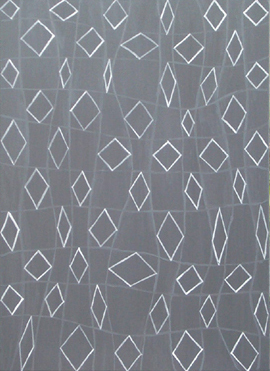 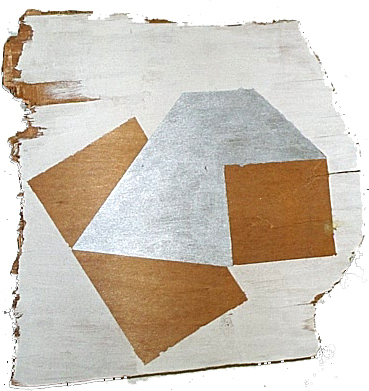 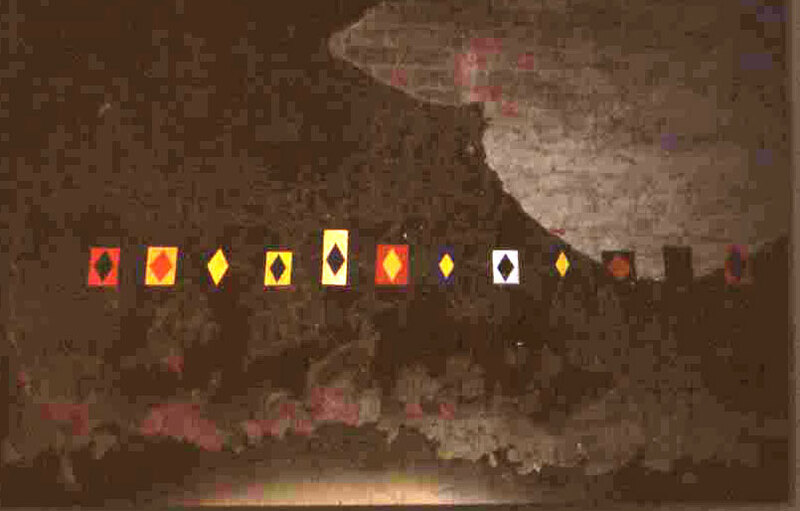 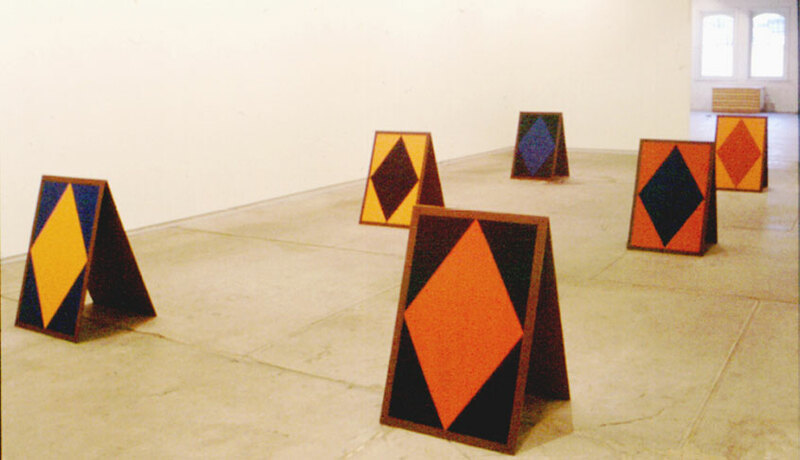 CDS (cardbard diamond series) exhibition of paintings on cardboard, Arson Street Gallery, Bedford Street St Kilda , 1988.
pavilion, 1991, enamel on masonite. 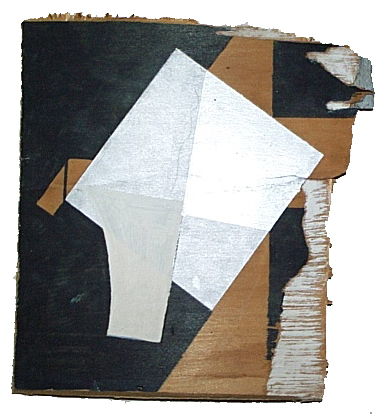 black, grey, white and pink pigments made from places and things.. on canvas, wood and cardboard, various sizes.